You WILL report for duty and attend the club’s annual tournament, held this year at Tyson’s Corner, VA in a very exclusive, non-proletariat, and — dare I say — bourgeois venue. The choice of location is appropriate, since duty is on the Western Front. Don’t get too soft, as you’ll return to Siberia for re-training soon afterwards. See below for details. Human Wave tournament 7-9 June 2019, Sheraton Tyson’s Corner. Theme is US vs Germany. Scenarios have been selected and posted to the official site… which also show’s who’s coming. Luminaries include several players well known to the ASL community. 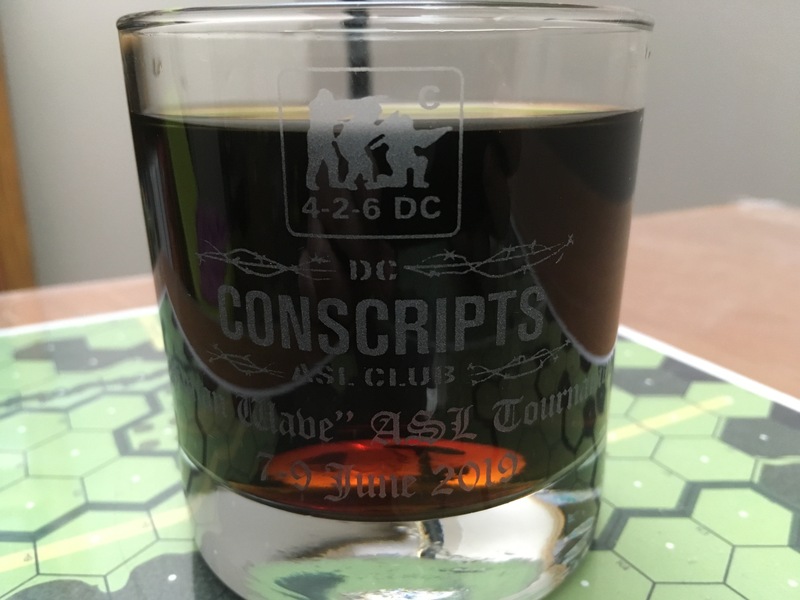 New for this year — Conscripts swag! Thanks to the efforts of our artist-in-residence, Scott Bricker, we have a super-cool design for our “rocks” glasses. 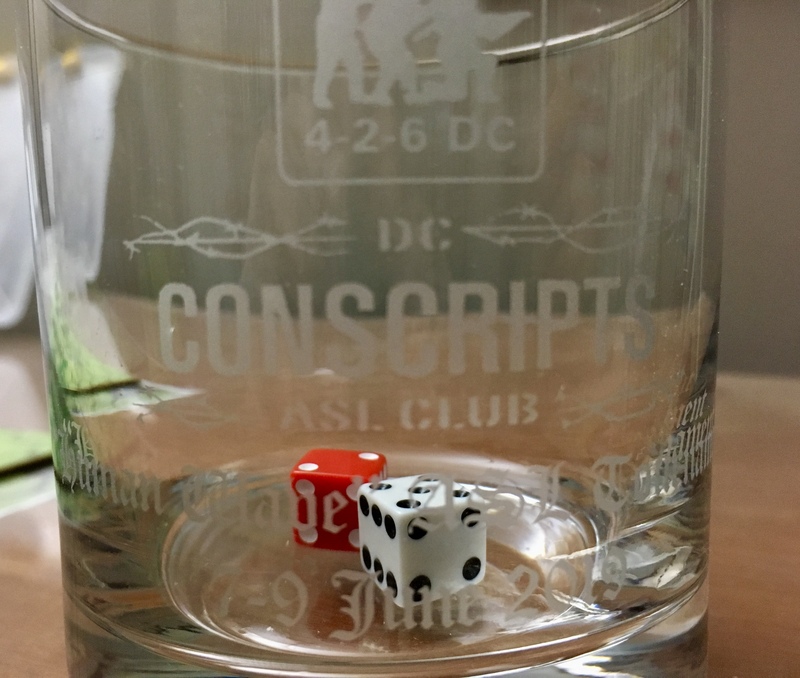 The glasses are perfectly sized for rolling dice … and later slamming down that vodka as you try to clear your conscience of the guilt you feel about having sacrificed cardboard warriors in the futile hopes of earning a victory.